Ah, Napa. It’s a name synonymous with wine. And on this fine day, I really wish I were back there. We made the pilgrimage out to wine country to celebrate my sister Jill’s 30th birthday. And over our 3 days there, we hardly made a dent in all the region has to offer. Though our time was short, we were able to hit 6 very different vineyards along the way, learning a little bit about why Napa Valley is so special from each one. 1. There are 400+ wineries in Napa County alone. Or 600+ if you count Sonoma too. I figure if we move to Napa and set up shop now, we might hit them all before the end of the year! 2. The wine industry in Napa Valley started way back in 1858. Yeah, seriously. Not long after the California gold rush, a man by the name of John Patchett bought up land and planted the first commercial vineyard. He hired Charles Krug as his winemaker, who went on to open Napa’s first winery in 1861. By the end of the 19th century, there were 140 wineries in Napa Valley, many of which are still in operation today. 3. Before the wine industry took off, the biggest use of land in Napa was for growing plums and raising cattle. It wasn’t until the Paris Wine Tasting of 1976 (where Napa wines were pitted against Bordeaux’s in a blind taste test, and won!) that Napa Valley really made it on the map as a premier wine destination. Today, 99% of land is used for growing grapes. The other 1%? Olives. 4. 50 years ago, an acre of land in Napa might sell for about $1000. Today, the average selling price is about $100,000/acre, with some speculating other pieces of land have sold for as much as $1,000,000/acre (though thanks to non-disclosure agreements, the highest “reported” sale price is around $300,000/acre). 5. Robert Mondavi was the first winemaker to create an on-site tasting room. Breaking away from his family’s business, Mondavi set out to redefine the way people enjoyed wine and create wines that could compete with the best in France. He set up the first ever winery tasting room, selling his fine wines directly to consumers at retail prices. Other wineries followed suit, and today Napa Valley is California’s most visited tourist attraction. 6. It takes 6-7 years for a vine to produce good quality fruit. Talk about “good things come to those who wait”. On the plus side, once mature, the vines are good for about 30 years before needing to be replanted. So what do they do with all those grapes for the first 6-7 years? Well, they might be used for composting. Or they might be in your Franzia. 7. If you remember anything about wine, remember the 75-85-95 rule. This basic rule of wine states that a wine must contain at least 75% of a specific grape to be labelled that varietal (i.e. Merlot), 85% grown in a specific region to be labelled by that appellation (i.e. Napa Valley), and 95% grown and harvested in a specific year to be labelled that vintage (i.e. 2010). 8. Estate grown does not necessarily mean grown at the winery. It simply means the grapes were grown at a vineyard owned by the winery. This could be up the street or 20 miles down the road. However, if a bottle reads “Estate Grown and Bottled at”, that means the whole process has taken place on the winery grounds. This is important because the quicker a wine is moved from vine to bottle, the better it should (theoretically) be. 9. There’s a simple reason white wines are less expensive. 10. Southern Napa Valley (Los Carneros) has a slightly different climate than northern Napa Valley (Calistoga). Although the Napa Valley AVA is only a few miles wide and 30 miles long, distinctly different wines are produced on each end. Chardonnay and Pinot Noir are typically grown in the south where the valley floor sits almost at sea level and breezes from the San Pablo Bay keep the temperatures cooler and more moderate. In the northern part of the valley, where the elevation rises to 362 feet above sea level, the area can get extremely warm during the summer days, while at night the Russian River Valley cools the area dramatically. Because of these conditions, Cabernet Sauvignon and Sauvignon Blanc thrive better in the northern part of Napa Valley. 11. To be considered a sub-appellation, there is a 2-3 year approval process. Beyond the simple label of “Napa Valley”, the area is divided into sub-appellations to better define each distinct growing region. In order to be an approved sub-AVA, you must prove to a panel of experts that your growing region produces distinct flavors that can only be created by your specific terroir (soil, climate, etc.). There are 16 sub-AVA’s in Napa Valley, with the last approved being Coombsville in 2011. 12. The propellers you see in the vineyards are for frost prevention. That’s right. They’re not for misting or scaring off the birds. Frost is the grape vine’s #1 nemesis, and in the early spring when frost is most prevalent, the propellers help to keep the air moving so it doesn’t have the chance to freeze. 13. Vines from the mountainside produce a fruitier wine. This is because mountain vines have shallower roots and get less water, producing a smaller grape. A smaller grape means a higher concentration of skin, giving them a distinctly fruitier taste. 14. French Oak is more expensive, but for good reason. The French have done a good job of managing their forests to ensure they never run out of that beautiful oak. A French oak must be at least 100 years old before it can be harvested. And aside from limited supply, French oak is loved for the subtle, smooth flavors it adds to wines. American Oak, on the other hand, tends to be much stronger in flavor; even too overpowering for some wines. 15. 90% of wine purchased in California is consumed within 24 hours. That’s right, all of that wonderful wine never even makes it to the cellar. But why should it? After all, wine is to be enjoyed! Hi, I'm Laura! Full-time mama. Part-time traveler. Our family knows exploring the world with little humans is no easy feat. That’s why we love to share our tips and tricks for traveling with kids, so you can get out and see the world too! 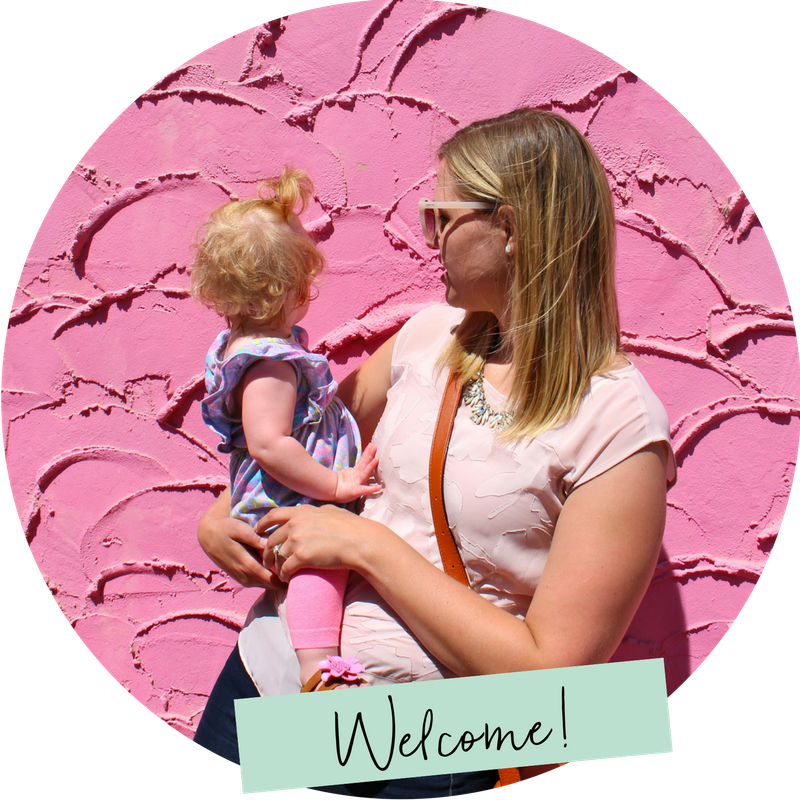 Our Next Adventure is a travel blog for adventurous parents, sharing tips and inspiration for seeing the world with a tiny explorer. Read more about our journey here.